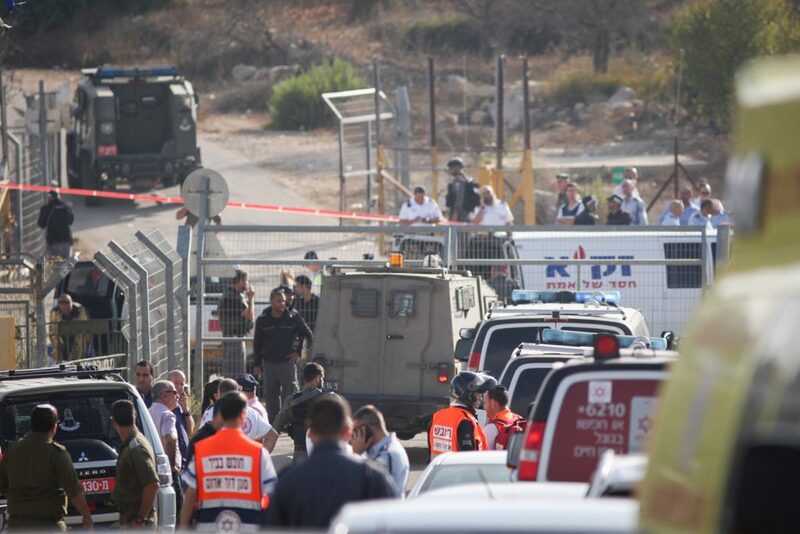 A Palestinian terrorist opened fire early on Tuesday at the entrance to Har Adar, northwest of Yerushalayim, killing three Israeli security force guards, Hy”d, and critically wounding a fourth. A police spokesperson reported that the terrorist who approached the back gate entrance of the Har Adar village, hiding among fellow Palestinian day laborers who were being checked by security forces. He aroused the suspicion of private guards and paramilitary Israeli police posted at the entrance checkpoint. 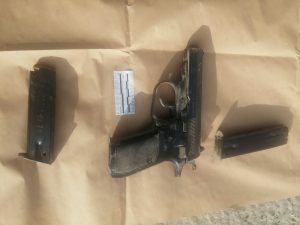 Asked to halt, the Palestinian “opened his shirt, drew a pistol and fired at the security staff and troopers at close range,” said the police spokeswoman. Police provided a handout photograph of his small-caliber firearm and two bullet clips. Magen David Adom said that in addition to the three men in their 20s and 30s who were killed, a fourth Israeli man, 32, was evacuated to a hospital in critical condition. The terrorist was shot and killed by security forces. Police said the slain terrorist, a 37-year-old father of four from the nearby Palestinian village of Beit Suriq, had an Israeli work permit.